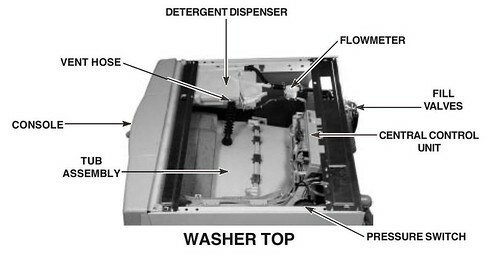 You can buy a printed copy of the genuine service manual for this washer. Or, I may email you a pdf version out of convulsive, spasmodic, twitching gratitude for your sufficiently-generous love-offering to my flavorite charity. Come and gleefully rummage through my other pearls on this machine. This entry was posted in Washer Repair on January 19, 2007 by Samurai Appliance Repair Man.